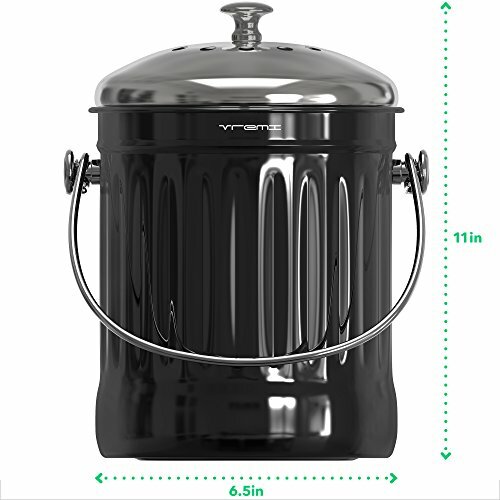 Turn your biodegradable food waste spoils into soil with the Vremi Agent Of Change Compost Bin. 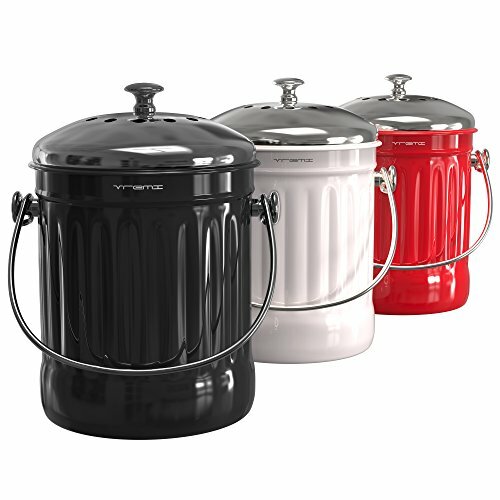 Our kitchen compost bin features an activated charcoal filter that sits in its fitted, vented lid to trap odors from indoor food waste naturally and effectively. The no smell filter is also reusable, and can be hand washed with soap and water to last up to 6 months. 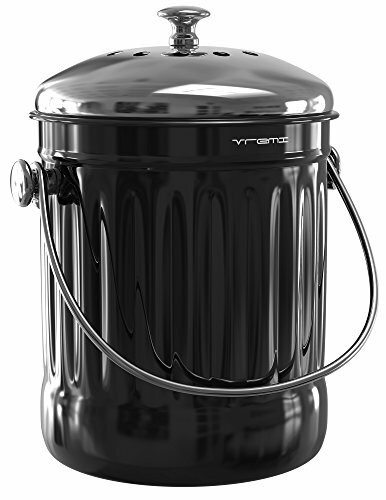 Your Vremi home compost bin purchase also includes an extra charcoal replacement filter for convenience.